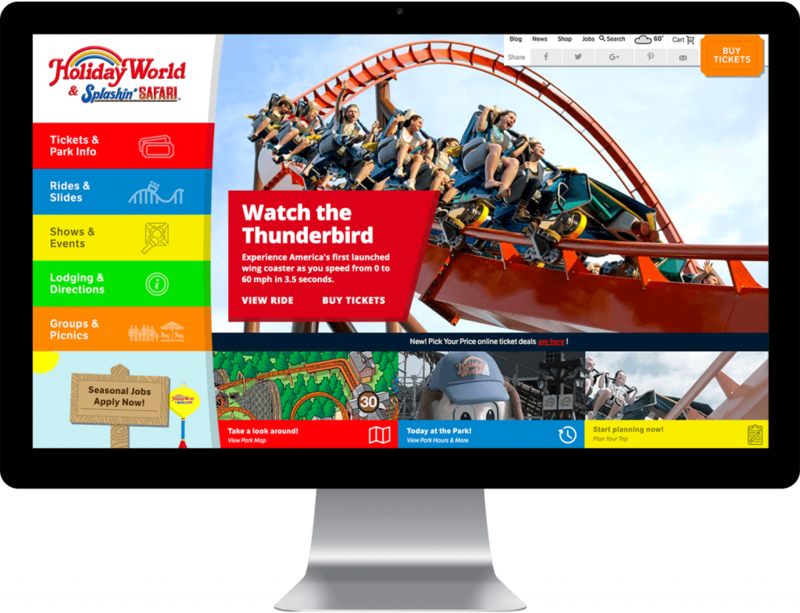 Holiday World & Splashin’ Safari came to DBS Interactive in need of redesign that would reflect their colorful brand but still provide the hard-working functionality needed for a website home to a globally recognized theme park. The result is a fun and functional design with a swath of custom programming. The site features real-time updates on park hours, ride closures, and weather conditions, as well as a robust search function of Holiday World’s attractions.